Colm’s Life Pharmacy carries a variety of exclusive nutrition & health food products, including organic, sugar-free, gluten-free foods - whole-foods, breads, pastas, drinks, snacks, treats and much more. Many of our customers choose supplements to make sure they get enough essential nutrients & to maintain or improve their health. We have an extensive range of supplements: Vitamins, Minerals, Fish Oils, Omega 3 and formulas specific to Brain, Bone or Joint support. We proudly stock products from Galway businesses Nua Naturals, Revive Active & Mastermind and Dr. Dilis Clare’s Health & Herbs. If you’re concerned about your diet and confused about which vitamins to take, pop in-store and chat to our trained, knowledgeable staff. In Colm’s Life pharmacy, we provide a great range of organic and natural body products and cosmetics. Our products are guaranteed to be gentle on your skin and kind to the environment. The top brands we stock include Dr Hauschka, selected La Roche Posay, selected Uriage, Kinvara Skincare and Bee-Kind. As well as our Natural Products we also have many of the well known cosmetics and toiletries collections, as well as lifestyle products for men and women. Flormar, one of the world’s best-loved brands, has arrived in Colm’s Life Pharmacy. Bringing with it a huge range of colour and choice, Flormar is known for it’s amazing quality while remaining at purse-friendly prices. 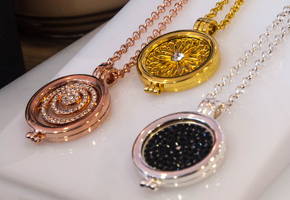 Colm’s Life Pharmacy stock a wide range of beautiful gifts - scarves, handbags, jewellery & watches. We think you’ll love the gorgeous range of picture frames and scented candles from Tipperary Crystal.